After the drubbing received yesterday, the index opened up but went down to touch the lows of the day around 5970. The responsive buyer tried to move the index back above the psychological level of 6000, but Nifty was unable to sustain above and closed just below at 5995.40, a small gain of 14.95 points. The broader market though was weak, with just 605 advances to 675 declines. Option Table saw the PE writers coming back, but mostly at 5900 level. Call option 5900-6000 and 6300-6400 added 6.13 lacs huge amount of OI with profit booking seen at 6100-6200 strike prices. 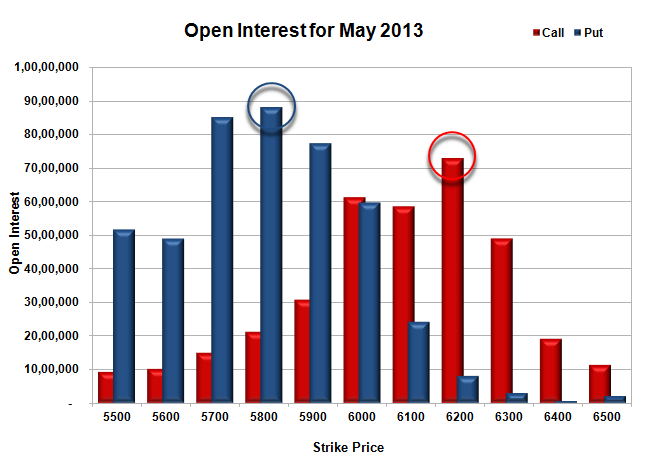 Put option 6000-5800 added 14.52 lacs huge amount of OI with short covering seen at 6100 and above strike prices. 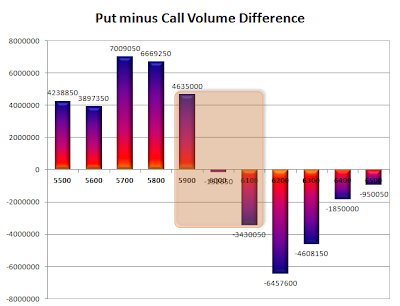 Highest accumulation on Call option 6200 at 72.88 lacs & 6000 at 61.35 lacs whereas Put option 5800 at 88.10 lacs & 5700 at 85.10 lacs. Nifty Open Interest is at 2,25,43,700 up by huge 12,35,400, with small increase in price, most probably huge long build-up. 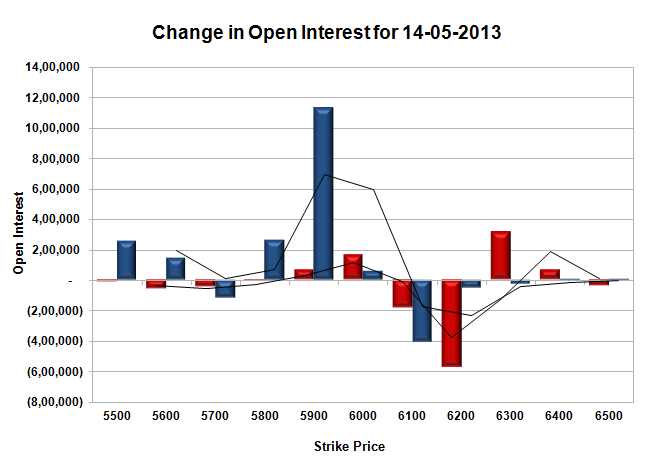 Bank Nifty Open Interest is at 19,06,800, up by 35,375, with small increase in price, most probably long build-up. FII’s bought 5.46 lacs of Futures, most probably long build-up, as their net OI increased by 39232 contracts and the average price per contract comes to around 6026. 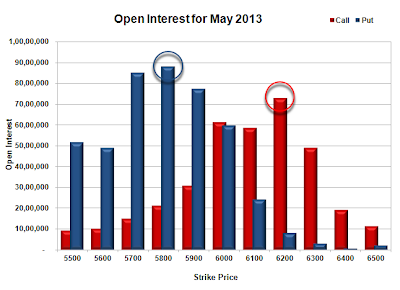 FII’s future open contract as on date is 509298. PCR Open Interest (Volume) is has jumped to 1.326. Support got stronger at 5900, with huge addition for the day and now OI above 77.21 lacs and below that at 5800 with highest OI of 88.10 lacs. Initial resistance still at 6000, though price is hovering around 6000, but OI is above 61.35 lacs and above that at 6100 with OI of 58.52 lacs. Range as per Option Table is 5943 - 6050 and as per VIX is 5942 - 6049 with 6005 as the Pivot.